Is Tenant Hoarding Getting Worse? 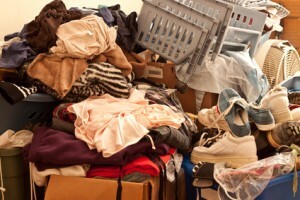 News agencies and lawmakers throughout Canada have been focusing more than ever before on the phenomenon of hoarding. In September of 2010, a six-alarm blaze at a downtown Toronto highrise injured 17 people and forced the evacuation of 1,200 tenants. Fire officials later determined that the inferno was sparked by a discarded cigarette, which ignited an enormous pile of combustible material stored on a balcony by a hoarder. Officials confirmed that the tenant’s hoarding hampered their efforts in fighting the blaze, and easily could have racked up a death toll. As a result, Ontario’s fire officials have campaigned for more diligence on the part of landlords in inspecting properties to avoid a repeat of this situation. Recently, one B.C. mayor called for regulation on hoarding, a practice which is commonly believed to be fueled by mental illness. Careful tenant screening, including a talk with previous landlords. Clear rules regarding the number of pets allowed. Specific policies on storage of belongings, including access routes and balconies. Routine inspections to uncover a hoarding situation. Because fire danger is one of the most common problems with tenant hoarding, a nonsmoking policy in the building may help minimize the risk, and solves other problems at the same time. Evicting a hoarding tenant may be easier to accomplish if the person has broken specific rules — either in the lease, local laws, or building codes. After the Toronto fire, local landlords asked fire officials for more clarification on what to do in the face of a hoarding tenant. As these clarifications, and possibly laws regulating hoarding come to fruition, the best bet for landlords concerned about hoarding may be to enlist the help of local fire officials to spell out specific suggestions for an individual property. For now, the safest tack may be to incorporate local fire, building and zoning rules into leasing policies. Not all hoarders need be evicted. With help from family, mental health or housing agencies, some will be able to abide by the tenancy rules. The trick for landlords is laying out those specific rules — lines that the hoarder cannot cross without placing others or the property at risk.